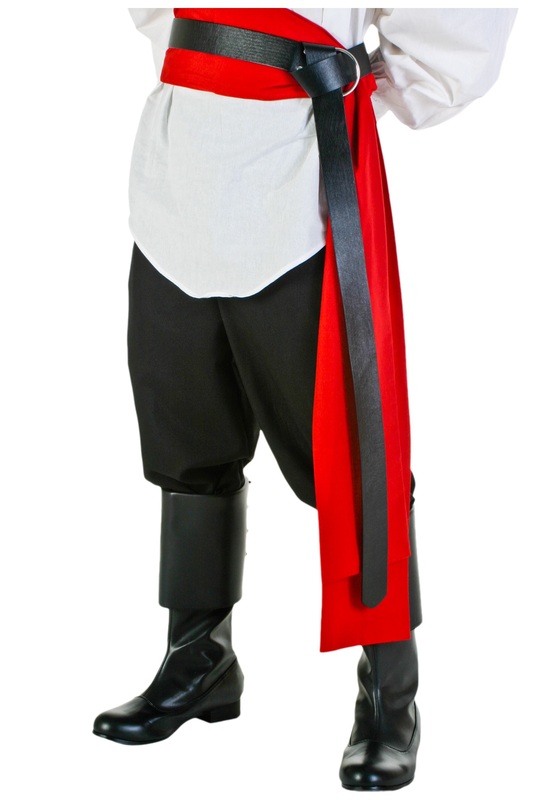 Not just for pirates, the long belt paired with a red sash was one of the most fashionable looks for men-and-women-of-action of the pre-modern era. Whether you were trying to establish a free pirate state in Madagascar or just conquer Europe (again, guys? ), you needed to look suave and stylish. Perfect for Napoleonic calvary officers, Assassin’s Creed cosplayers, swashbucklers and musketeers of all stripes, this Renaissance Belt can spice up any outfit. I mean, old equals classy, and the sash is basically like a cummerbund… Your sister probably wouldn’t mind if you wore this with your tux to her wedding, right? Add a touch of old-world authenticity to your costume with this Renaissance Belt. It’s 70 inches long, so unless you’re of Fallstaff-ian proportions (which will be its own great look in this), there’ll probably be plenty to dangle down your side.